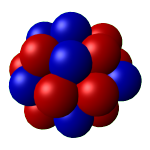 EDF theories constitute a wider framework with respect to the mean-field approach and allow us to establish connections with density functional theories developed in condensed-matter physics and in chemistry. A considerable amount of work has been carried out on effective interactions in the context of EDF theories and, within the group, several different directions have been followed such as the effect of new spin-density dependent terms, of a surface-peaked effective mass, or in a complementary approach, a local functional has been obtained exploiting Brueckner-Hartree-Fock calculations. Several nuclear states lie near thresholds and breakup into clusters. Investigations have been pursued in the last two years on alpha clusters and condensates in excited nuclei (such as the Hoyle state in 12C) and in low-density nuclear matter. In a relativistic framework, density-dependent meson-nucleon couplings have been introduced in the Hartree-Fock-Bogoliubov theory and have been applied to study the ground-state of deformed nuclei. nuclear interactions, tensor and pairing effects. For several decades the tensor contribution has been neglected in the most frequently used phenomenological interactions, Skyrme and Gogny forces. 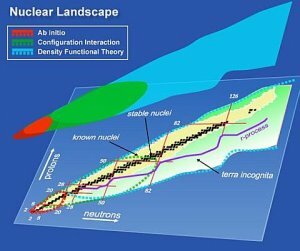 Nowadays, the impact of the tensor contribution is very much debated, especially in connection with the structure evolution of the isotopes that are located in the exotic regions of the nuclear chart. A new tensor term has been very recently introduced and tested for the Gogny interaction. The pairing interaction and the associated pairing correlations are also extensively analyzed. Some work has been devoted to the predictions of the size of Cooper pairs in superfluid nuclei, and to the analysis of the effects of pairing correlations on the incompressibility and the symmetry energy of matter. Some theoretical results obtained with combined structure and reactions calculations have indicated that pair-transfer reactions in very neutron-rich Sn isotopes are useful tools to investigate the surface/volume localization of the pairing interaction. Similarly, our group is known for its expertise in low-lying and giant excitations in nuclei. This subject has been extensively analyzed with both non-relativistic and relativistic methods. A completely self-consistent RPA calculation with the Skyrme force have been achieved, a full calculation of the second random-phase approximation (SRPA) for the excited states of nuclei has been successfully applied to the description of the low-lying and giant resonances of several nuclei. Charge-exchange excitations have been studied in the relativistic framework. For the non-relativistic case, giant resonances as well as Gamow-Teller and spin-dipole modes have been analyzed with the Skyrme force. A new soft monopole mode has been predicted as an exotic breathing mode in Ni isotopes. As far as the low-lying dipole spectrum is concerned, pygmy resonances have been studied with both quantum (Quasiparticle RPA and SRPA) and semiclassical (Vlasov) models. A detailed analysis of the nature of the low-lying states has been carried out to identify the neutron and proton contributions and to investigate the collectivity of the states.